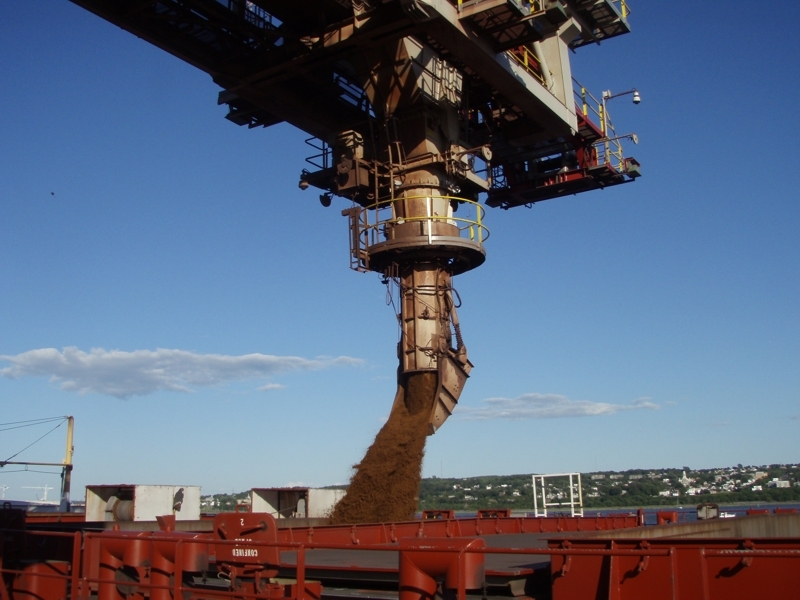 Seabulk provided a complete design, build and finance solution for the upgrading of the Beauport Flats terminal at the Port of Quebec in Quebec City. 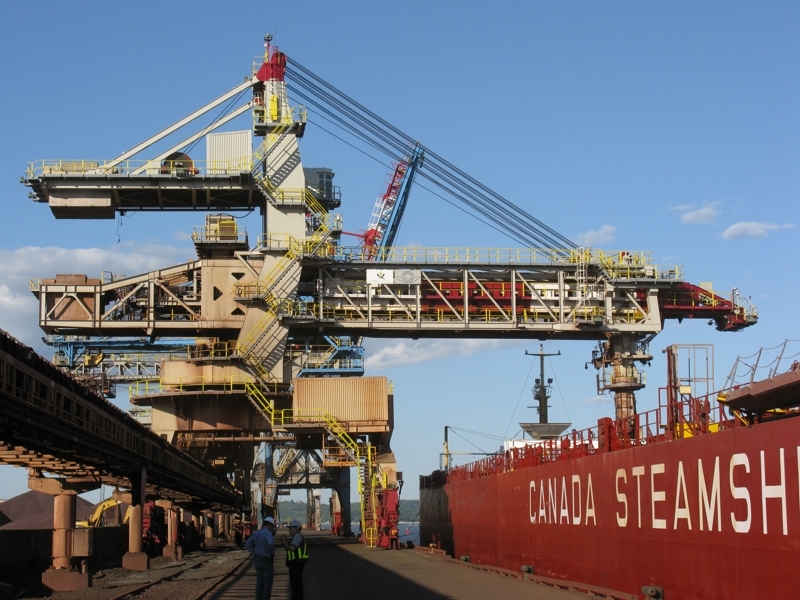 The original terminal used gantry cranes to unload vessels, a stacker to stockpile material, front end loaders to reclaim material and a shiploader to fill outgoing vessels. The equipment was approximately 20 years old. 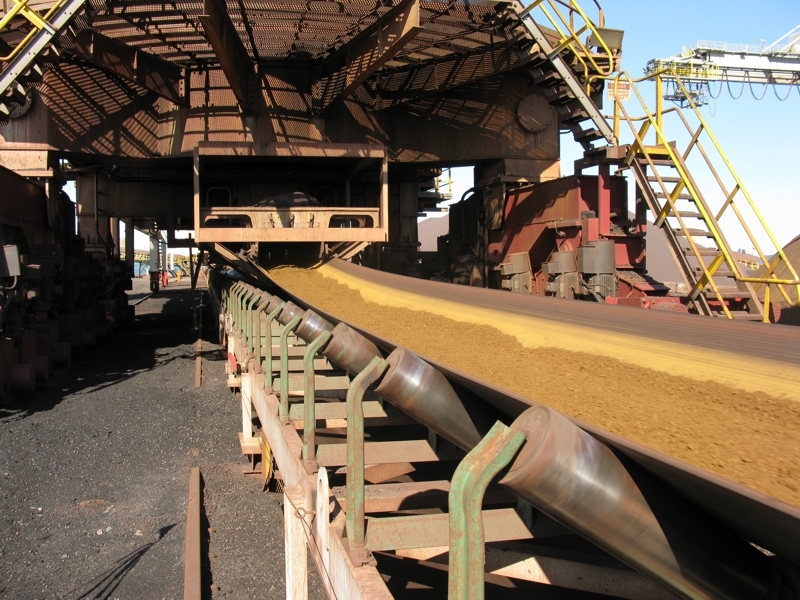 The original design of the equipment was 2 500 tonnes / hour of iron ore and 1 000 tonnes / hour of coke on a 1 220 mm wide conveyor. 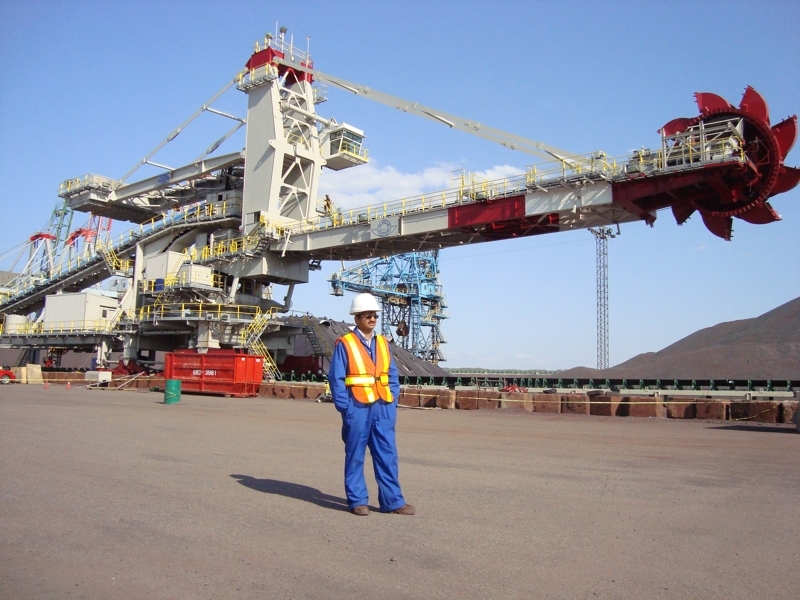 The owner did not want to build new civil works for the shiploader and stacker reclaimer so the new equipment was designed to meet the original design loads. Also, the owner wanted to minimise downtime of the terminal. The removal of the old equipment and installation of the new equipment was done during the ports winter slow down when ice limits vessels ability to reach the berths. 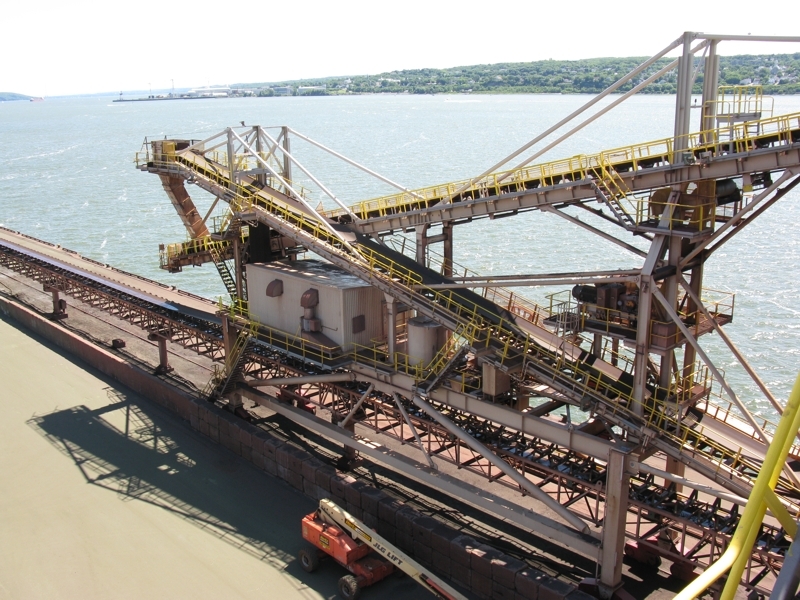 Seabulk's upgraded deign was for a peak capacity of 4 200 tonnes / hour of iron ore and 2 100 tonnes / hour of coke on a 1 500 mm wide conveyor. 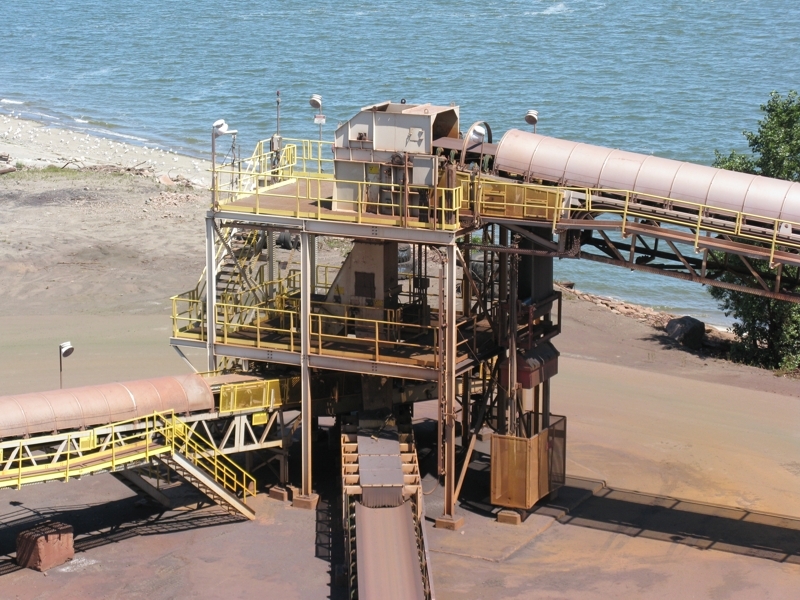 The rated capacity of the system was 3 500 tonnes / hour of iron ore and 1 200 tonnes / hour of coke. 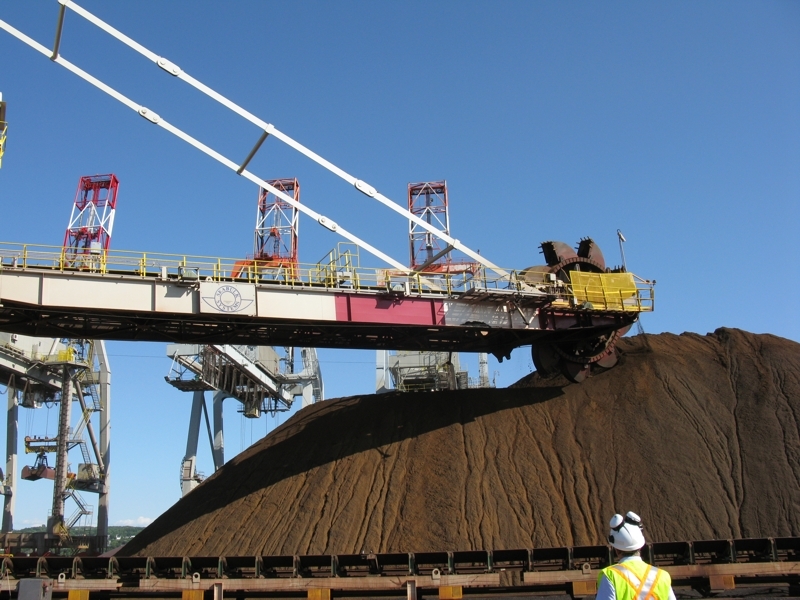 The stacker was replaced by a larger bucket wheel stacker reclaimer to reduce front end loader reclaim to final clean up. The new shiploader was also much larger with the ability to load cape size ocean going vessels as well as Great Lake going vessels. The shiploader and stacker reclaimer were built in China. They were delivered fully assembled on a heavy lift vessel. The equipment was offloaded directly onto their tracks. 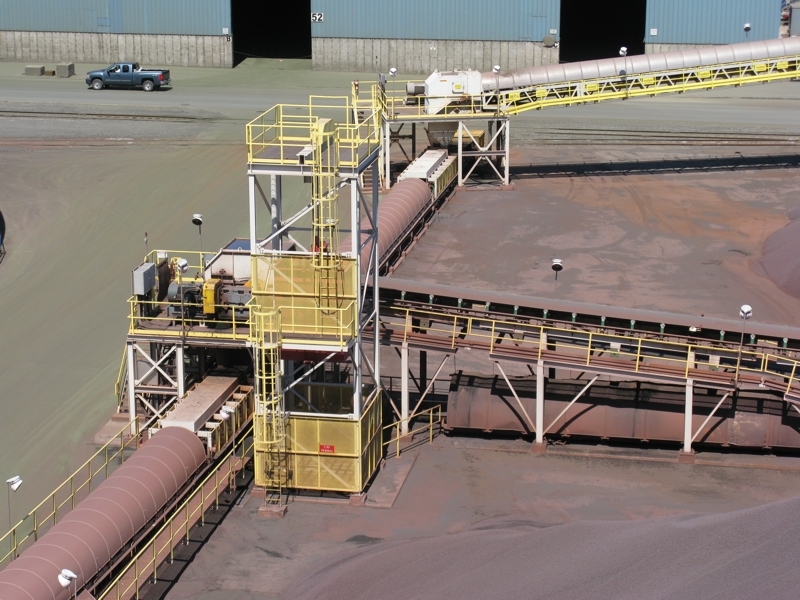 The conveyor system was fabricated in southern Quebec and delivered to site by truck.